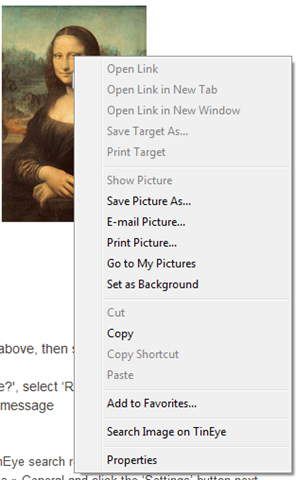 Saw on TechCrunch this week that John, Gosia and team had redeisgned the home page of LearnHub. Congratulations! LearnHub is the evolution of Nuvvo. It’s a set of online tools designed to make learning fun and engaging for students, and easy and effective for teachers. It’s built on new technology, Nuvvo was built on a Java stack using Hibernate and Struts. LearnHub is build on the Ruby stack using Rails. It also represents an evolution in understanding of how important communities and interaction are in the learning process. The mere threat of social interaction changes our behavior…if you know your work is going to be put on public display, you’ll be much more motivated to make it good. John Seely Brown presents Learn 2.0 as a shift from a view where knowledge is something that can be transferred to students. To a view where it is the social interactions and activities that help support the learning of content. LearnHub supports a set of social activities. Including blogging, comments, quizzes, tutoring, testing, and a reputation system. The reputation system provides a mechanism for students to evaluate teachers, the input and tutoring advice of other students, and generally create a public mechanism for building trust amongst the participants. The combination of using a socially motivated reward system, i.e., reputation, along with participatory social tools seems like a fantastic start for successful social learning communities. Coupled with the lessons from Nuvvo about how to build efficient course management tools, it sets LearnHub up to be a competitive player. The management team consists of Malgosia Green, John Green and Michelle Caers. The team is relatively inexperienced, but looks like a strong young team. Recent experiences building a succesful acquisition in Silicon Valley and lessons learned from a failed attempt at Nuvvo, should provide a strong basis for keeping LearnHub’s product development and business development on track. Bersin & Associates estimates the LMS market in 2006 at approximately $480 million/year and growing at 26% per year. March 2008 post shows the market at over $700 million with a strong focus on Web 2.0 and participatory tools as a important focus for vendors. There is a strong market for LMS solutions in India where there is a good mix of public and private sector adoption of learning management tools, there is a strong educational market with a strong group of private universities that account for 90% of the educational spend. The LearnHub product offering shows the experience of having build Nuvvo. The learning management tools included for teachers are comparable to those included with Moodle and Blackboard: courses, lessons, polls, quizzes, tests, student management, multimedia instruction, etc. The advantage for LearnHub is the participatory nature of the product is not bolted on after the fact. The LearnHub tools appear to be built around social learning. The integration of a reputation system that leverages many of the standard social design patterns, allows LearnHub to build tools for educators around a participatory community that supports individual learners improving the learning experience. The reputation system combined with the focus on easy-to-use instructor and participant experiences really set LearnHub apart from their enterprise competitors. There are still some open questions about the business model. The current model appears on the surface to be advertising based, there are Google Adsense on each pages, and larger educational institution brand advertising. With an investor like Educomp, there is bound to be additional business models brewing. The investment and strategic relationship with Educomp places LearnHub in a very good spot. Educomp is a large Indian educational technology provider with a strong presence the K-12 market in India. This is a strength for Savvica. There are 2 leaders in the LMS space with the closed source Blackboard/WebCT offering, and the open-sourced Moodle. Moodle offers individual professors and instructors a great course management system, but it is missing many of the features and functionality necessary to run an institution. Blackboard is the 800 pound gorilla in North America and has recently added managed hosting and community features. Much of the barriers to entry analysis requires looking at information dependent on details of the business model, marketing plan, and a better understanding of the relationship with LearnHub’s investor Educomp. The barriers to entry in the LMS market appear to be related to existing vertical integration and key agreements in the educational market. My thought here is that the partnership with Educomp provides rapid access into the larger local Indian educational market. And that the size of this market will allow LearnHub to be able to adjust the tools for use in other English speaking markets. LearnHub is building tools that people enjoy using. And is trying to build a community around learning that allows students to eventually become teachers. Customer loyalty and community liveliness are metrics that can be track as LearnHub develops. First steps include their agile, human-centered design and development process. There are strong network effects that are dependent on finding the right instructors, institutions and courses. Content is still king, and with the right participatory model surrounding the content LearnHub is set to build a vibrant community that replenishes the content but also improves the learning experience. It’s pretty easy, once you get your courses and material entered into the system there is a huge cost to move them to another provider. Getting the right content and instructors is key to leverage the learning tools and community tools. Let’s just assume that LearnHub continues to be out in front of the R&F curve. Leveraging an existing community and layering in new tools and techniques as they are discovered, invented or evaluated for effectiveness. One key barrier that is difficult to assess from the outside is the one of intellectual property. 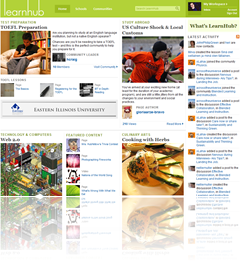 Much of the LearnHub system is public, and many of the social design patterns are freely available an published by others (see Yahoo’s Reputation Design Patterns). It will be interesting to see how quickly existing LMS providers adopt social tools, Blackboard has a Community System but appears to be offering this as enterprise software to educational institutions to deploy. Missing the internal insight it’s very difficult to assess the intellectual property protections. In my search of the US Patent Office, I could not find any filings related to Savvica or LearnHub. The experience in Silicon Valley appears to have prepared John & Gosia in building a solid business plan around an existing problem with key differentiators in the community tools for elearning. There are a few open questions around a business model that allows LearnHub to generate significant revenues, and the barrirers to entry for a competitor. However, the investment by Educomp and the existing Educomp salesforce and business development efforts lends significant credibility to the LearnHub efforts. LearnHub is building tools that are leading the social learning trend and have strong investment and business development relationships in India. Savvica, the company that makes LearnHub, is hiring. Analytical skills: Top-notch experience and skills in user-centered need analysis and design. Usability skills: Hand-ons in-depth understanding of user experience and usability principles and heuristics. Knowledge of Russian language would be an extra bonus – making it easier to communicate with our colleagues in Moscow office. Analyzing, structuring and prioritizing user needs/feedback. Documenting it from user’s point of view (what users want to do). Coming up with proposed solution (new/changed product functionality) to meet users needs (how to do it). Coordinating and collaborating with representative clients and other team members (marketing, support, development, QA) to see designs implemented and rolled out. Wild Apricot: young and quickly growing software company – see http://www.wildapricot.com. Our membership website platform is already used by thousands of associations, clubs, groups and communities, – and we are on our way to become a leader in this sector. Ease of use/usability is key cornerstone of our product philosophy – it has to work out of the box for non-technical people. We take results seriously – while making work fun and enjoyable. Are you passionate about great user experience? There is a lot of software out there. And most of it is very cumbersome and painful to use. For us, delivering exceptional user experience is our key marketing and business strategy. Furthermore, our agile software development means that we release updates every few weeks so that you can see your ideas taken from concept to implementation in a month instead of in a year. We already have thousands of users and only with truly great product we can meet our expansion goals and make Wild Apricot the world’s leading software for millions of groups, clubs, associations and non-profits. Send your resume to jobs@wildapricot.com. Radiant Core has been acquired by Zerofootprint Software. Radiant Core was a Toronto-based web design and development shop led by Jay Goldman and Mike Glenn. Zerofootprint is a Toronto-based company that “provides information, products and services for the global network of consumers and businesses who wish to reduce their environmental impact”. Radiant Core is best known for the visual design of Firefox 2, and has been recognized by Taschen as a leading web design agency. Jay and I have presented together at Web2Expo, FSOSS and Ignite. We’re also co-conspirators in this whole DemoCamp thing. Zerofootprint has been a client of Radiant Core. Radiant Core designed, built and launched the Zerofootprint Calculator Facebook application (add the application). Zerofootprint has a laudable goal to empower people and change their collective footprint. Our goal is to mobilize and empower large groups of individuals and organizations worldwide, to reduce their collective carbon and ecological footprint. We do this by harnessing the power of social networking, the Internet and software. Why acquire a consulting firm? It’s a great acquisition method, Ron and the Zerofootprint team really managed their risk by engaging Radiant Core to evaluate capabilities, working styles, and the quality of team deliverables. In Radiant Core they get a world-class design firm with strong experience designing and building accessible web and social media applications. Radiant Core also has deep roots in participating and building vibrant, open creative communities. Jay and Mike have been involved with TorCamp, DemoCamp, TransitCamp, FacebookCamp/Facebook Developer Garage and other activities here in Toronto. The Zerofootprint team had the opportunity to evaluate the Radiant Core team and their ability to deliver on the design and development of the Zerofootprint Calculator Facebook application. Zerofootprint and Radiant Core have worked together and can begin to have informed conversations about cultural compatibility and employee integration based on real experiences. No financial details have been released. One less world-class web design shop. One more awesome software startup, now with world-class web development team! It means that Zerofootprint just acquired one of the best web development shops in Canada to be their product team. Running a consulting business is a tough slog. It’s a linear growth business, i.e., you grow revenues by increasing the number of billable hours, increasing the billable rate, or increasing the number of people. It hopefully gives Jay and Mike an exit. It gives Zerofootprint a huge accelerator to continue to build products and services that will help to change the world. Interested in what it really means, try calculating your footprint at http://toronto.zerofootprint.net/ and see how Zerofootprint is working with the City of Toronto to create a greener city.